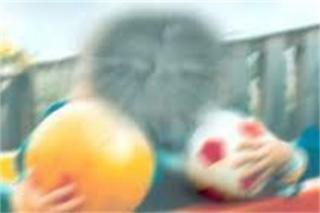 Don't Let Macular Degeneration rob you of your sight. Is it possible there is a solution to your macular degeneration (MD) problems, a solution which remains completely unknown to your eye specialist? The answer is simply, YES! The following is a direct quote from the Journal of the American Medical Association, Vol 272, page 1413. "One can only marvel at the ignorance, or the inability of opthalmologists to follow research, when they tell patients there is no cure for macular troubles." You have probably been told by your specialist, "Sorry, you are getting old, you are going blind, nothing can be done"
That statement is, in fact, unmitigated, uninformed nonsense. OK, that may seem a little harsh and, in all fairness, there are a number of compelling reasons (listed below) why your eye specialist is completely unaware of an incredibly effective, natural way to treat Macular degeneration. 1: Busy eye doctors simply do not have the time to spend hours studying new clinical and medical trials. It is simply not feasible. However, two major Australian Universities have recently completed highly successful trials (using Australian grown saffron) to treat MD. But the results of these trials are virtually unknown amongst the eye-care profession. 100% of all newly diagnosed participants in these trials re-gained at least two lines on the Snellen reading chart. 100%. A stunning result! 2: Like all busy medical professionals, eye specialists rely heavily on new products being introduced to them by pharmaceutical representatives, pharmaceutical publications or medical conferences. But the pharmaceutical companies are unlikely to contemplate making or promoting saffron tablets (as a viable means of combating MD) for the following, extremely compelling, reason. 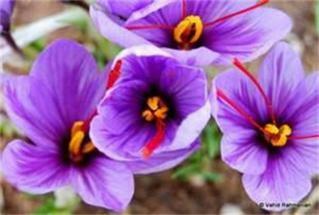 3: The saffron stigma (taken from the flower of the plant genus Crocus Sativus ) requires both hands to be plucked from the heart of the flower. Most saffron is grown in Middle Eastern countries where the left hand is used for 'personal sanitary purposes' and no pharmaceutical company will risk using raw and possibly contaminated saffron to make tablets to treat Macular Degeneration. Completely understandable. You have come to this site to see if it is possible to stop Macular Degeneration from doing any further damage to your eyes and to see if it's possible, (even partially), to reverse some of the damage already caused by this insidious disorder. For the majority, the short answer is unequivocally, YES.! And you can start your fight-back against Macular Degeneration, now .... TODAY!! Our primary goal is to stop your macular degeneration in it's tracks .... to prevent any further loss of sight. Our secondary goal is to explore the possibility of initiating a full or partial 'reversal' of your vision loss. ('Reversal' may be dose related as you will read on our Testimonials page. NB full reversal can only be expected by those in the earliest stages of MD). It is common knowledge that most of todays' modern medicines are based around the healing properties of plants. It has been known for many years that the spice saffron, in regulated doses, can halt and (for many) even partially reverse the damage caused by Macular Degeneration. What's more, this fact has again been proven over and over again by clinical, double-blind, peer reviewed trials and studies in Europe and now, most recently, in two Australian Universities (in 2012), all using a 20mg saffron tablet or capsule as the active ingredient. The studies were conducted by a research and medical team headed by Professor Silvia Bisti, and targeted people with recently diagnosed macular degeneration. The studies were conducted to gauge the effects 20mg saffron tablets had on early diagnosed macular degeneration, (the leading cause of blindness in the elderly). The results for the participants of these studies and trials have been dramatic and life-changing. Ongoing clinical testing throughout the trials showed all the participants re-gained at least two lines on the Snellen 'reading' chart. Furthermore, the visual acuity gains achieved by all the participants, were maintained after the trials, as long as the trialists continued taking their 20mg saffron tablets. Our 20mg saffron tablets are small and easy to swallow and come as a four month supply. Saffron is heralded as the 'most expensive spice in the world'. It comes from the flower of the Autumn Crocus (Crocus Sativis). It's macular 'healing' properties were first noticed by researchers who noticed the absence of MD in areas where the spice was commonly used as an addition to a variety of local dishes. The stunningly beautiful 'saffron plant', Crocus Sativus, from which the three red stigma's are hand-plucked. When dried, the stigmas 'become' saffron. It takes hours to collect even a small quantity of saffron and up to 220,000 flowers to produce just one kg of the carefully dried product. I first read about the saffron treatment after realising that my mother's MD was worsening, despite her being on the current, commonly prescribed 'treatments'. The price of store bought saffron was astronomical, with no quality guarantees whatsoever. 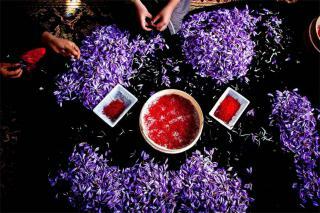 There is a practice in some overseas countries of re-dying and re-packing old saffron to appear as freshly harvested. Aged saffron has no medicinal value at all and unless you have the ability to test foreign sourced saffron, it is impossible to tell which is good saffron and which is old and useless. Re-dyed saffron may also be toxic. Not wanting to expose Mum to saffron of dubious or unknown etiology, I commenced growing my own saffron crop and commissioned the production of 20mg saffron tablets. Mum's degeneration was quite advanced, but despite the severity of her MD, her eyesight improved not long after starting on the saffron. Like Mum, the majority of our saffron tablet users have more advanced MD. Mum and a good friend at the family home. At the time of this photo her vision was already badly impaired by macular degeneration. You can see more of Mum by clicking the link below. From there grew MD Re-Vision, (as we were inundated with hundreds of phone calls immediately following the programme). So far, over nearly 1000 people have joined the MD Re-Vision 'family' and of those, about five percent have reported continued sight loss, despite being on the saffron. 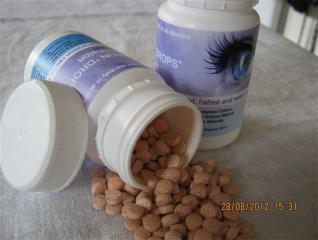 And the 20mg saffron tablets have worked equally well for those with both wet and dry Macular Degeneration. I firmly believe that had Mum been given this opportunity when she was first diagnosed, she would still be driving her car, hitting a golf ball (not very well), painting her beautiful pictures, able to make a cup of tea and watch the tele, she would have retained her dignity and quality of life. But for some inexplicable reason and despite overwhelming medical and scientific evidence, this information, this clinically proven means of treating Macular Degeneration, has most likely, not been adopted or embraced by your vision specialist. The simple fact is that the extraordinary spice saffron contains remarkable healing properties for a variety of vision related disorders, especially Macular Degeneration and Retinitis Pigmentosa. This has been known for years, but has your eye specialist even made mention of this fact to you? Well, you now know the answer to that question. The frustrating part of macular degeneration is that the peripheral vision remains fine, while the more important central vision that we need for daily living becomes impaired. You can simply Google saffron/macular degeneration or Professor Silvia Bisti/saffron and find hundreds of news articles and medical research papers on how saffron has slowed, stopped and in a many cases partially reversed the damage caused by this insidious condition. There is more information available by clicking on the links below as well. Hundreds of thousands of flowers growing in an Iranian saffron farm. 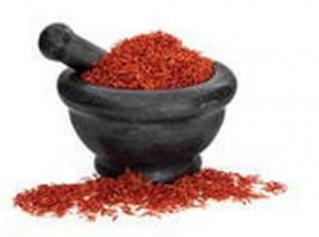 Old saffron is often dyed to appear 'fresher' but is of no medicinal value in the fight against macular degeneration. It is a known fact that most people contracting Macular Degeneration will be declared legally blind withing three years of diagnosis ...the only conclusion that can be drawn from this is that, for most people, the conventional treatments ARE NOT WORKING very well! Our saffron tablets can help. Give them a chance to change your life or that of someone you care for. Go to the 'Purchase Now' page, complete the PayPal details and lets get things started towards a brighter, more visual future, for you or someone special to you. With Macular Degeneration, there is so much to lose ....... with saffron tablets from MD Re-Vision, there is so very much to gain. It's time to start your own saffron journey. We will follow your results with interest as your results collectively give us a better idea as to how and why saffron works as a treatment for Macular Degeneration in general and your MD in particular. We offer you our warmest wishes with your upcoming battle against this cruel and insidious condition. 2515 E State Highway 30, RD 2, Whakatane.